Workwear Rental: Is Your Service Good Enough? Workwear is one of those problems we don’t like dealing with and is often a low priority. Whether it’s issues with the supplier, garments, or staff usage finding the right workwear rental provider can be difficult. Often rental companies service levels can drop when ownership and account handlers change. Giltbrook are one of the first laundries to use RFID chip and barcodes to track the movement of garments helping you comply to the correct legislation and enabling you to monitor staff usage. 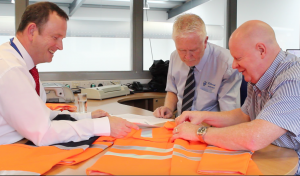 Our workwear is processed in our specialist hygienic environment where we follow a strict schedule. All workwear goes through thermal disinfection and our tunnel finisher where the temperature control provides a secondary disinfection. 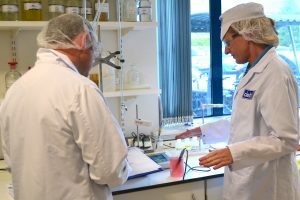 Importantly, as part of our processes we conduct microbiological and allergen testing as well as quality checking each garment to ensure they meet stringent standards and conform to the relevant regulations. We follow stringent procedures set by GMP for the healthcare and medical sector as well as HACCP for the food industry. We are also ISO 9001:2015 and cleanroom ISO 14644 :1 accredited. Challenge your current provider. Browse our website and get in touch for more information on our services. We would love to work with you in providing you with the workwear and service you require.